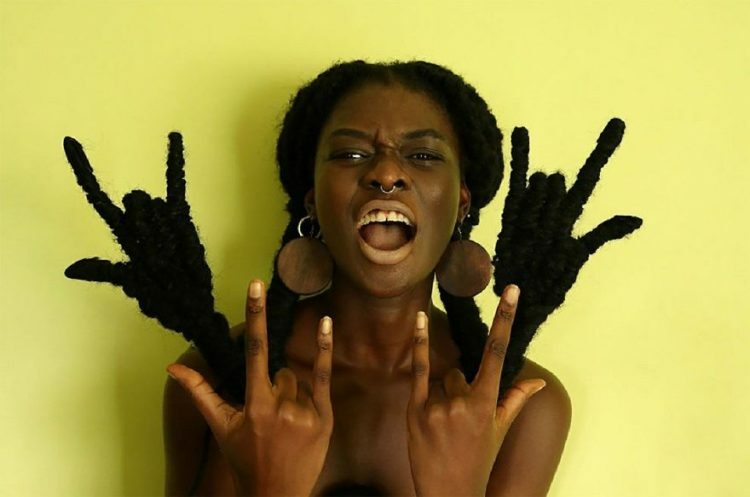 Laetitia KY, a young fashion designer from the Ivory Coast, recently went viral on social media for an original photo series where she sculpts her long hair into a variety of shapes, from human hands, to bunny ears and even the African continent. KY says that she has always been fascinated by hairdressing, but got the idea for creative hair art a year ago, while admiring the intricate hairstyles of women from various African tribes. She found them amazing and they inspired her to use her own hair as a means of artistic expression. The results are nothing short of awe-inspiring. Colombian-American artist and opera singer Mateo Blanco was in the news late last year for creating three celebrity portraits out of the most unusual material – dog hair! Blanco revealed that he was listening to Lennon when inspiration struck, and he decided to honor the three late singers with dog hair purchased from a local groomer. The portraits – of musicians John Lennon, Michael Jackson, and Jimi Hendrix – were purchased by Orlando-based Ripley Entertainment and unveiled at Ripley’s Odditorium on December 12. The Michael Jackson portrait is still on display in Orlando, while John Lennon is currently at Ripley’s Mexico City, and Jimi Hendrix at Ripley’s Key West Odditorium. Artist and photographer Bill Fink is the creator of ‘Time and Matter Photography’, an amazing art form that involves producing photograph-like images out of virtually any material or matter. 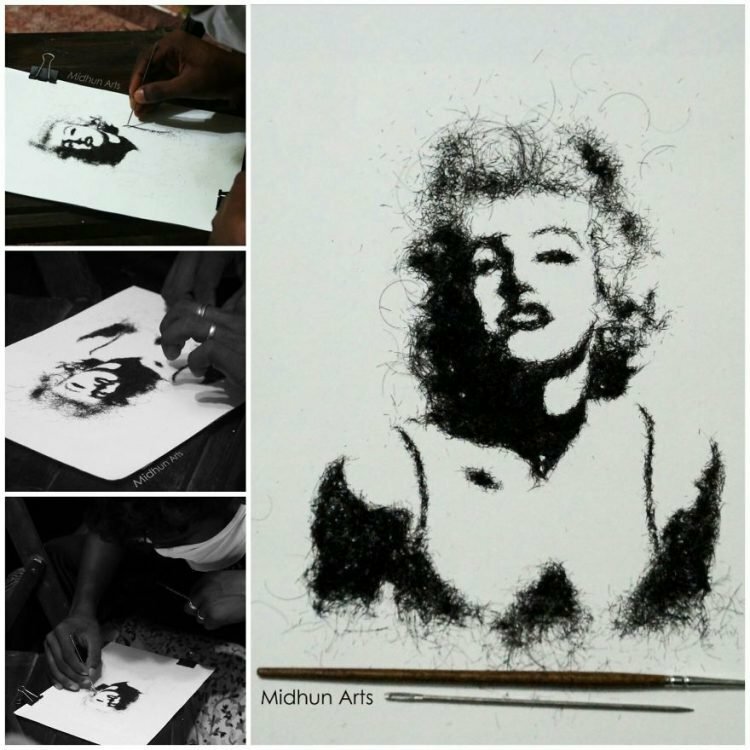 So instead of conventional materials like silver halide or inkjet, the 60-year-old artist uses hair, human ashes, soil and anything else you can think of to painstakingly create photo-like images. Some of Bill’s most notable works include a portrait called ‘My Eye’ – made entirely from his own hair, ‘Flowers’ – made entirely from the pollen of those flowers, ‘Quaker Oats’ – a picture made with Quaker Oats, and the image of a man named Bob, made using his ashes. These pictures look just like vintage photographs; nothing betrays the unique technique used to produce them. Human hair is fast becoming one of the most popular mediums in the art world. We’ve seen everything from dresses made of hair and hair necklaces to insect sculptures made from human air. Now, we’ve discovered the intricate art of Jenine Shereos, who uses the dead protein to create tree leaves. Leila Cohoon of Independence, Missouri is a retired hairdresser. She now teaches hair weaving and runs her own cosmetology school. She is however, linked to hair in more ways than apparent. Leila collects hair art, and puts it all on display in her museum. 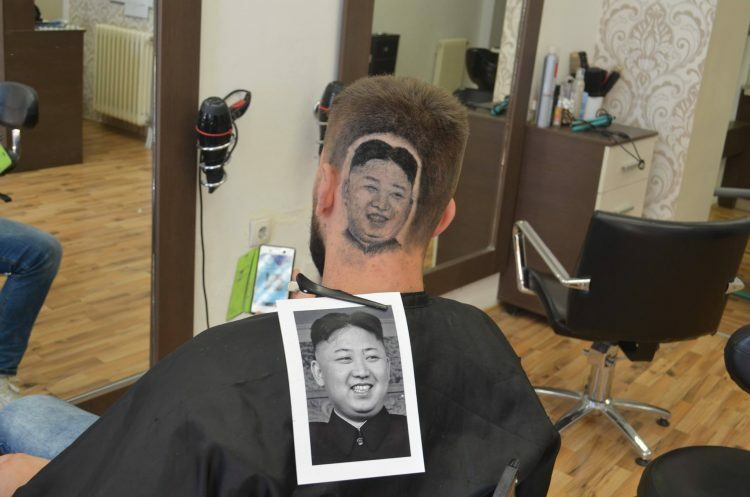 What is hair art, you ask? We wondered the same. Contrary to expectations, the museum does not display human hair in bunches, like the hair museum of Avanos, nor is the hair taken from the heads of the dead. Ask Leila, and she explains that hair art consists of intricate wreaths of hair set in frames to create beautiful designs. These frames were frequently used to decorate Victorian homes. Leila’s collection started in 1956, with wreaths and jewelry made from hair. Initially she stored her collection in her house, under the bed. Around 20 years ago, she decided to display them and started a one-room museum in her cosmetology school. She later rented out a commercial space and runs her museum there. 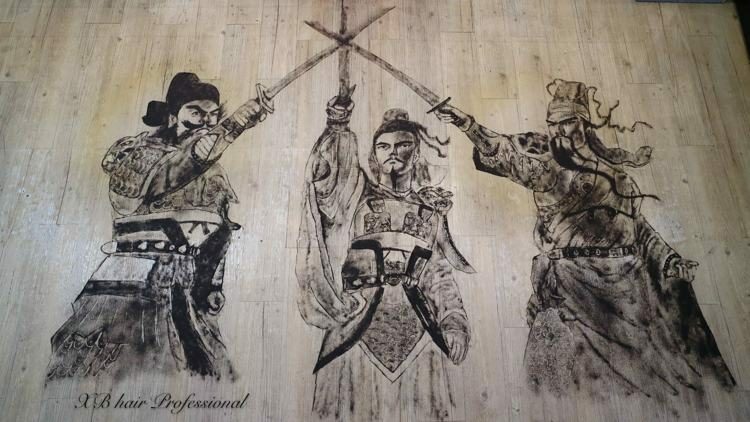 The walls of Leila’s Hair Museum are completely covered from floor to ceiling, with hair art. Her collection includes over 300 wreaths and 2000 pieces of jewelry containing human hair. A student from Japan’s Tama Art University came with the idea for a leg hair font, after his teachers asked him and his colleagues to create new typefaces without the help of computers. Zaira Pulido is a Colombian artist who uses long strands of human hair instead of thread to create embroidered works of art. Bogota-based Zaira Pulido has been asking every one of her friends and people she’s into for strands of their hair to use in a series of embroidered artworks. She uses the human hair instead of the usual thread and creates various works, like embroidered portraits of her friends (each made with their own hair), an embroidered comb or a replica of her bra. I noticed some people find working with human hair disgusting, but personally I like seeing hair used as an art medium, and Zaira Pulido’s work is right up my alley.